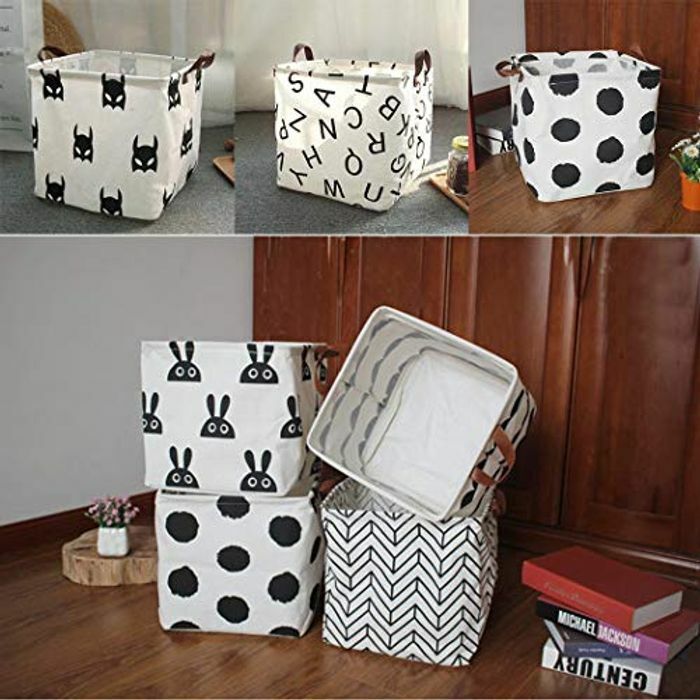 Type: Storage Bin, the product is made of good quality materials. Pattern: Semicircle, Rabbit, geometric figures, big dots, latin letters, bats. Size: 33cm x 33cm x 33cm. Round storage bin adds extra storage to the baby's nursery or toddler's bedroom. Unique design make it easy to transport anywhere around the house, From the crib to the changing table and every place in between.